Hi, and thanks for visiting InternetMarketersEducation.com. If you're here, you're looking for ways to make a full-time income while setting your own hours and working from home. It may sound like a pipe dream – but I can tell you from personal experience that it is possible. Before I tell you how I can help you make it happen, I want to go over a couple of basic things. First, I want to bust a few myths surrounding internet marketing (IM), and second, I want to tell you a bit more about myself. Why am I doing things in this order? I'm doing it because some people come here expecting another "get rich quick" scheme, and that's not what I do. My goal is to help you build a long term, sustainable online business with multiple income streams. If you're willing to put in hard work, dedication and persistence, it's more than possible! So without any further delay, let's get started! I created this membership to help serious marketers wanting to achieve online success, that are on a budget, so the price is dirt cheap for a wealth of information that is priceless. The video courses you get inside would cost you $1000's literally if you were to purchase them separately. So you're basically getting access to 300+ videos courses lower than the price of one! Remember the price goes up once we reach 200 members...So join TODAY! Several Common IM Myths – BUSTED! "You can make thousands each month, and only work a few minutes each day." As much as I'd like this one to be true, it's completely false. If someone tries to sell you an IM program that makes these claims, they're selling you a bill of goods. It's possible to make great money online, but just like any other job, it takes hard work and effort. "You can make a full-time income and work from home – tomorrow!" This one's theoretically possible; I'm sure someone, somewhere, has been immediately successful. However, these cases are exceptional, and for most IM newbies, immediate success is like winning the lottery. For most of us, building an IM business can go on for weeks, months or even years before results are seen; but, in most cases, you can see some income almost instantly. "You can run everything on autopilot." This myth is a big one, but there's a grain of truth in there somewhere. There are useful tools that allow you to automate parts of the process, and these tools make your jobs easier – but you can't automate everything. To be successful in internet marketing, you'll need to put in some hard work. Now that I've dispelled some of the most common myths surrounding internet marketing, I'll tell you a bit more about myself. If you've stuck with me up to this point, you're probably wondering who I am, and you're also wondering what qualifies me to tell you about making money in internet marketing. My name is Yasser Moosa, but most just call me 'Mozie'. I'm not rich, but I do make enough money to be a work-at-home dad. IM is my sole source of income, and with it, I support my beautiful wife and two wonderful children. If you and I met in a café or on the street, you'd probably forget me quickly – because I blend in, and I'm just like everyone else in most ways. There is one thing that sets me apart from other people, though. Rather than working a 9 to 5 job, plus overtime, I set my own schedule and I am my own boss. On some days, I wake up and get right to it; however, on other days, I take it easy and only work part of the day. My point is, that I work when and where I want to, and because of that, I absolutely LOVE my job. After I've introduced myself, most people want to know how I started in IM. It's a long story – I have always been an entrepreneur at heart. When I was an 11-year-old in school, I got into frequent trouble because I didn't do my work. I was too busy selling sweets, chips and 'Spice Girl' lollipops in class. My mother wasn't too thrilled, but my father was proud of me! 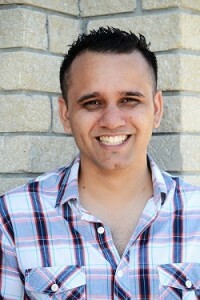 After I was grown, I started working for an SEO company. The work was enjoyable, but I didn’t like having a set schedule each day. However, the tools and skills I learned on the job have been invaluable. I learned that I loved working online, from anywhere, and that the IM world held tremendous potential. While I was working for the company, I started building websites and making some money with AdSense. I began offering my SEO services (which I still do) and I picked up random online jobs. To make a long story (sort of) short, I learned as I went, and I built up my income until I was able to quit my job at the SEO company. There's just no better feeling than working for yourself! Over the past few years, I've helped a few people learn how to make money online. Some wanted a supplemental income each month, and others have taken it further, working from home full-time, just like me. In every case, though, I loved teaching others to be a success – and that's exactly why I built this site. Well, that, and the fact that I'd noticed that some so-called IM gurus didn't know what they were doing, and that those people were just in it for the money. Just ONE of the training courses on my site typically sells for up to $47 – and there are currently more than 200 internet marketing video training courses included in your membership. That doesn't even include all the articles, guides and audio courses I'm offering! The cost of a membership is about 1% of what it would cost for you to buy all of these training materials individually. Don't delay – buy today! I've seen people charging hundreds, even thousands of dollars for information of questionable value. I decided to take a different approach, and offer sample videos which you can view using the links below, there were so many that I had to create 2 sample video pages to get half of the video samples, so you can see that you're getting high-quality training. I offer these free sample videos because I'm confident that they can help, even if you're totally new internet marketer and just starting out. Here, we add new internet marketing video courses every week, and we regularly extend bonuses and special offers to our valued members. There's no better time to become a member! On InternetMarketersEducation.com, I've created a premium membership that covers the major areas of IM, and with this membership, regular people like you can make a legitimate income from home with a bit of hard work. There are many ways to succeed with internet marketing, and my training will tell you more about these methods in an easy-to-understand way. To see a master list of current topics offered within my internet marketing training membership, click here. When you buy a premium membership, you'll get instant access to our internet marketing video library which contains over 300 video courses and over 3000 internet marketing training videos that are ready to watch and guide you towards online success.It's a goldmine of information for pennies on the dollar! Right now, we have over 3000 internet marketing videos ready for viewing, and I'm adding more all the time. You can watch these videos right away from with your membership area and they are easy to find within the video course library as it's sorted by niches and topics. I have put together one of the most extensive IM video libraries on the Internet, and all 3000+ of them are included in your internet marketing membership. I don't have space or time to list all of the topics I cover, but here's a small sample: PLR, content creation, YouTube marketing, niche blogging, membership sites, social media marketing, email list building, SEO, digital product selling, branding, WordPress and a lot more. See a master list of topics here. On my site, I have a massive video training library that you can stream from our servers, anywhere you have an internet connection, and they are created by top marketers that are experts in their field. I personally learned from many of them, so I can attest to the value offered in the video courses. You'll be getting the ultimate shortcut to success. You won't find this particular feature on any other site! If you find an internet marketing video on a topic that interests you, you can ask me to add it to our library and if it's possible I'll buy rights to it so that it can benefit you! We add around 20-50 new IM video courses every month and send out notification to members about new courses added with a link to watch the courses or bookmark them. So…How Will You Make Money With Your Membership? That's a tough question to answer, because there are so many approaches you can take. Your answer will depend on what you like doing, the amount of time you can devote to IM, and your learning capabilities. Sell top-converting affiliate products through blogging, article marketing or email marketing – yes, we show you how to do it! Set up 'squeeze pages' with popular products, and gain traffic from free and paid sources. Build a list of opt-in subscribers. We show you how to do that too! Create your own product and gather affiliates to promote it for you – you guessed it, we show you how. Market your products on social media sites such as Google+, Twitter, Facebook, Instagram, Pinterest and LinkedIn to get valuable, targeted traffic. We will show you how it's done! Make income with video marketing – from selling affiliate products on YouTube to creating videos, there are a lot of ways to make money, and we'll show you how. Make money from affiliate systems like Amazon, DigiResults, Clickbank and JVZoo, by watching our videos on using these platforms. Offer your SEO services to clients. There are courses that can teach you SEO quickly; you'll learn how to do keyword research and a lot more. Then, you can use these skills to optimize your affiliate sites, and you can market yourself to other businesses who need help. And, yes, we'll show you what to do. Learn about WordPress, and set up sites as an additional service. You can start a web design company, build blogs and sell them. You can sell PLR products, start a WordPress membership site, and earn a residual income. Protect your downloads, rank YouTube videos and make money with CPA and AdSense. Learn about info marketing, article marketing, responsive web design, Audacity, Woocommerce, webinars, Amazon S3, T-shirt businesses and a lot more! There's a tremendous amount of training on other topics, and the list will only continue to grow as we invest in more courses. It's our goal to give our members the best value we can, so they can continue to learn and earn! With a simple click, you can get started right away. 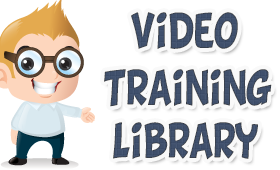 Want to see some samples and descriptions of various video courses in my internet marketing training video area? Prices are so low, that there's no reason to delay. To further reassure you, though, I offer a 100% money-back guarantee for seven days, so if you sign up and don't see the incredible value that I'm offering, you can ask for a full refund. Just remember, it's not only one course – you're getting a premium membership with an extensive selection of courses! If you're ready to change your life forever, just click the "Buy" button below now! Join Us While The Price is Still REALLY LOW...I'm going to be increasing it real soon..
P.S. Remember that this is an introductory price which is only available for my first 200 members, once we reach this milestone, I'll be increasing it to $29 .97 permanently. P.S.S And if you're really serious about becoming a professional internet marketer, creating a successful online business and working from home full-time, then my internet marketing training membership is the solution that was specially crafted to drive you towards success. Join NOW by clicking the buy now button below and start your internet marketing career with the RIGHT guidance and training. The first step towards success is realizing you need help along the way, find out how we can help you..